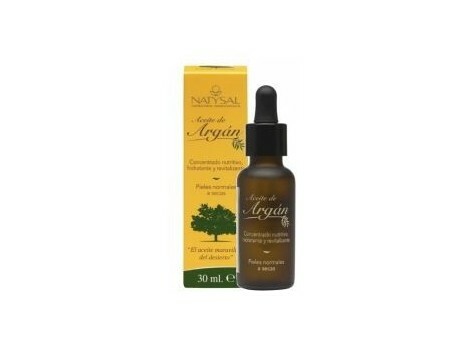 Natysal Argan Oils (Moisturizing, firming, regenerating) 30 ml. 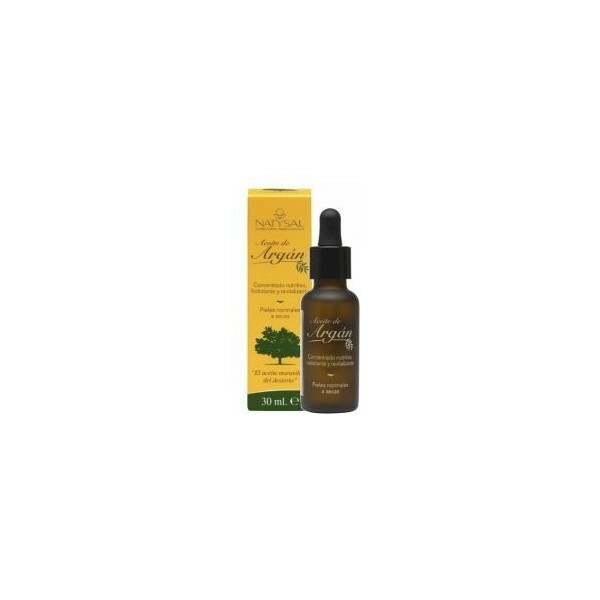 Natysal Argan Oils (Moisturizing, firming, regenerating) 30 ml. Argan oil (Argania spinosa), also called "the liquid gold of Morocco" has been used for centuries by Berber women, being the best kept beauty secret of the desert. It is the rarest precious oil and extraordinary in the world due to its scarcity and its exceptional properties: Hydrating, nourishing, emollient, firming, regenerating and wrinkles. It tones the skin providing elasticity and luminosity. Presentation: Package of 30 ml. Composition: virgin argan oil first cold pressing. No mineral oil. No silicones. Colorants. No parabens. Synthetic perfumes. No propylene glycol. Without ethanolamines. Dermatologist Tested. Not tested on animals.